Noted GT-R tuner, Mine's, shipped the world's first seriously tweaked Nissan GT-R (R35) to us from Japan. Also making the trek across the Pacific was Honda's preeminent tuner and race specialist, Spoon, and its Honda NSX-R GT. From Europe came TechArt's amazing GTstreet, based on the 997 Porsche 911 Turbo, and representing the stars and stripes is D3 and its impressive Cadillac CTS. There's simply no debate: The Spoon NSX-R GT is the most thrilling and fun-to-drive car in this group...perhaps the world. 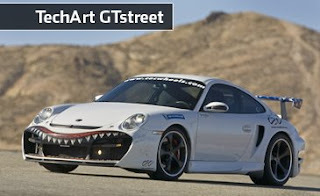 The Techart 911 mouth is dope. Its 480-bhp turbocharged flat-6 and road-carving all-wheel-drive handling have made it one of the world's best sports cars, and it demonstrated its prowess around the Streets of Willow Springs by tearing through its 16 corners in 1:30.69. Sixty mph comes in 3.0 sec., 100 mph in 6.9. Its quarter-mile time is in motorcycle territory, getting to the mark in 11.1 sec. at 127.4 mph. 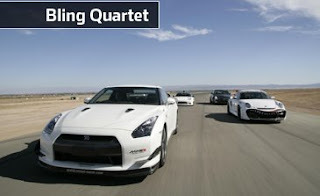 By now, you have no doubt heard of the new Nissan GT-R. This $70,000 2+2 has burst onto the world sports-car stage with a prodigious bang, boasting performance that's comparable to cars costing two to three times more.